Q: If I had Ultherapy one month ago and only see a little improvement, will it still get better? A: Ulthera is not expected to show results for a while. Collagen production continues for at least six months after the Ultherapy. Q: I have melasma. It never goes away but it gets worse when I get sun exposure. Will Ultherapy make it worse. A: No, Ulthera is ultrasound energy which should not target the surface of the skin. There should not be an exacerbation of your melasma with Ultherapy, provided you don't get a burn which is theoretically possible, but very rare. Q: Can I have Ultherapy if I need fillers too? A: Yes, Ultherapy can be done prior to the fillers. Ulthera does not address the volume defect of the face and after the ulthera is done, fillers can then be injected to replace the fullness that has been lost. Q: I had some fillers in my cheeks done to lift my smile folds around nine months ago. Can I try Ultherapy for a non-surgical facelift now? A: Yes. Some say wait six months after fillers and others say maybe more, even a year, but this is because we don't have definitive evidence that the ulthera can hasten the resolution of the filler. There are no reports of any detrimental affect of Ultherapy on the filler. A: If I have slight improvement after one Ulthera treatment, can I repeat the treatment and expect improvement? Q: There is no expectation after ultherapy. Some get very nice results but no one should be guaranteed a result as there are many variables that are not understood preventing a classification as to who is destined to get a great result. Elderly, badly sun damaged smokers probably will not get a good result with Ultherapy. Others who get some result but want more, can benefit by repeating the treatment in six to twelve months. Q: Is it possible to get a tighter jaw line without having a neck lift surgically? A: Yes. Botox can be injected into the neck platysma muscle to help relax the pulling down of the jaw line and the cheek muscles then, unopposed, can help raise it up more. Ultherapy can be done prior to or after the Botox to help tighten the tissues with deep ultrasound energy, no down-time. Ulthera may take one or more hours to perform an entire treatment and it can be redone in six to 12 months. Q: Will I need to repeat Ultherapy in the future? A: Ulthera can produce a result that lasts for years but some patients may wish to undergo repeated treatments, possibly as early as six or twelve months after the treatment. Q: Is it normal to be sore after ultherapy? I had Ulthera by my NYC doctor two weeks ago and there is still some tenderness on the cheeks. A: This is probably a good sign although many people who do not feel sore still get a good result, but it is expected that the soreness you feel is normal and related to the collagen that your body is producing as a result of the heat energy the ultrasound produces when Ultherapy is absorbed by your skin. Q: Can Botox be done right after Ultherapy, even the same day? A: There is no issue to inject the Botox immediately or some time or days after the Ulthera treatment you receive for facial lifting. If however you just had Botox and are now deciding to have Ultherapy, you should wait at least one day. There may be clinical study results in the future to give providers better guidelines to answer this question. Q: Is Ultherapy the same as the ultrasound that a physical therapist uses? A: No, the Ulthera device uses a more focused ultrasound wave that can help tighten deep tissues, underneath the dermis, to help lift the face. 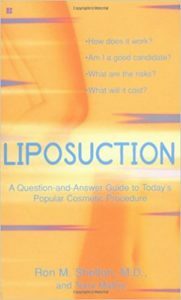 Q: I had a facelift several years ago and don't want more surgery but I have seen the jowls starting to form again. Can I do Ultherapy? A: Yes, Ulthera has been used by Plastic Surgeons after facelifts to maintain good results. Q: Are there other devices as good as Ulthera for facial non-surgical lifting? A: Not at the time of this writing. The Ulthera device is the only FDA-cleared treatment for facial lifting without surgery. Q: Can I do Botox immediately after my Ultherapy which is scheduled for next week? A: Yes. 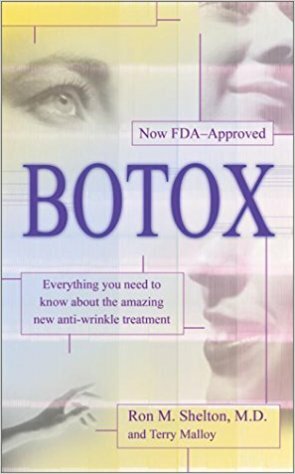 We don't think that the ulthera could interfere with Botox that had aleady been administered (provided that it was not within a few hours preceding the Ulthera), and probably not if the Botox was done more than a day previously. There have been no reports of problems related to having Ulthera and then, immediately being treated with Botox. Q: Can my facial Ultherapy also make my fat neck thinner? A: There is no current evidence that there will be fat loss from ulthera ultrasound energy.